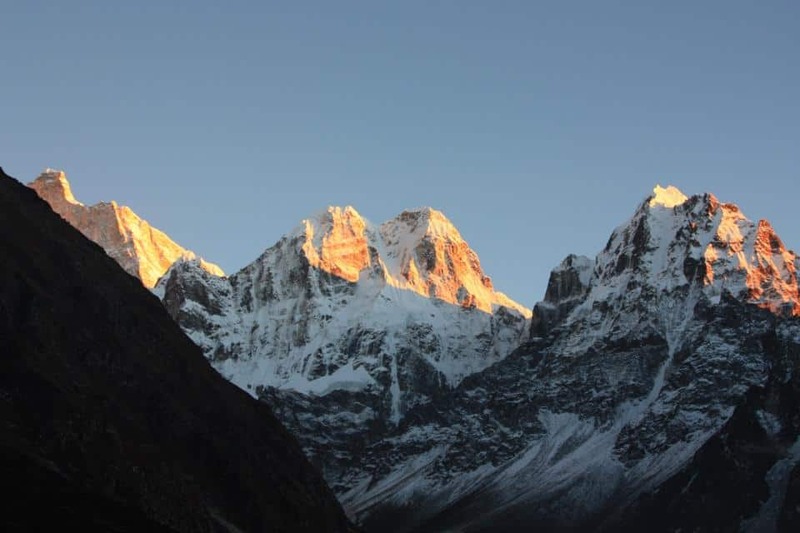 Eastern Nepal is wonderfully known by its greater diversity on many accounts; ethnic groups such as the Rai, Limbu & Magar communities, a fertile range of flora due to the higher summer rainfall in the region, and some of the most breath-stopping mountain vistas anywhere in the Himalaya. 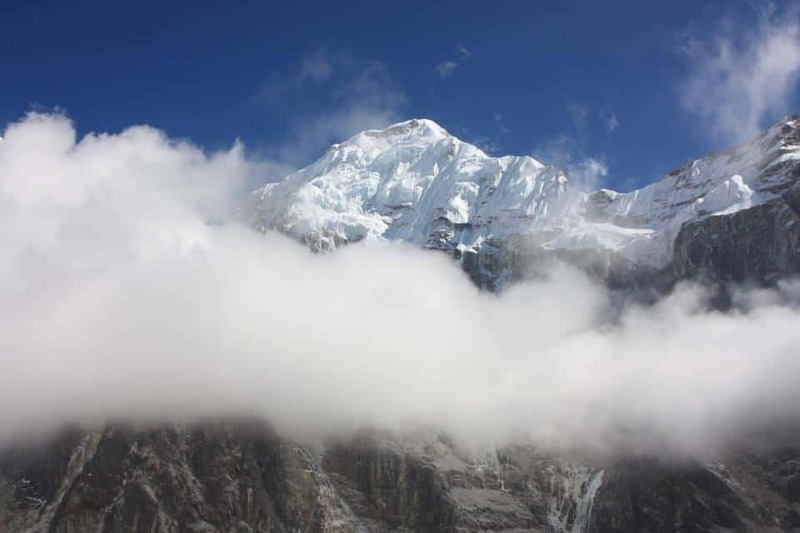 By following the glacial torrent of the Tamur and Ghunsa Rivers to their source on the North West side of the Kanchenjunga Himal, we enter into a lesser known world where the beauty of the landscapes is downright rugged…but simply beautiful…& breathtakingly awesome. Dwarfed by an alpine opulence in almost every direction, peaks such as Pyramid Peak, Jannu, the Twins and of course Kanchenjunga (8586m) dominate the regal skylines of this region. It is no less dramatic on our southern traverse of the mountain on the return journey by way of the Mirgin La Pass at (4500m). This is a challenging traverse through a region seldom frequented in recent years…this adds up to the uniqueness of this area…where its just ‘us & the mountains & everything else it has to offer. Airport pick up / drop off by car. Guided city tour as per above program. 3 nights accommodation with breakfast at tourist class hotel in Kathmandu. An experienced Guide (trained by Ministry of tourism), 1 porter between 2 members. Transfer to and from Biratnagar / Bhadrapur on jeep. Meals (breakfast, lunch, dinner with tea / coffee) during the trek. 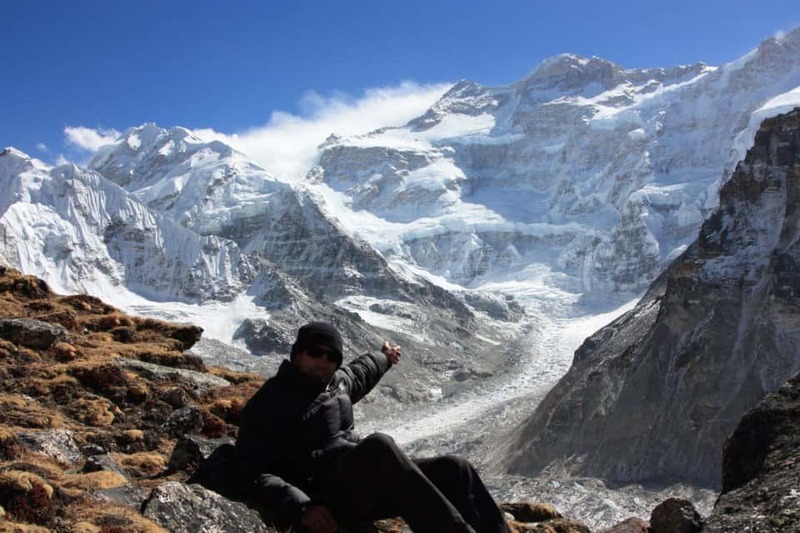 Kanchenjunga special trek and Conservation permits. Satelite phone for emergency uses. Government taxes and office service fee. Arrival day in Kathmandu, pickup assistance and transfer to hotel. 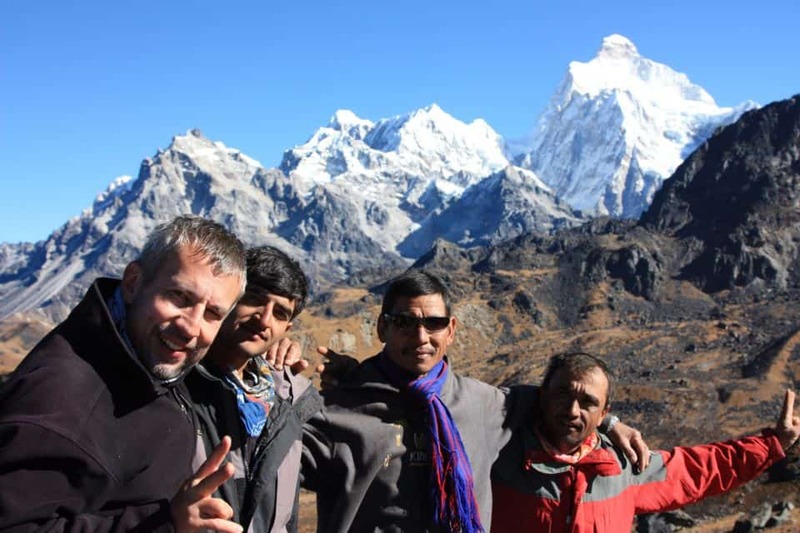 Trek permit preparation and guided city tour of Pashupatinath, Boudhanath, Swoyambhu & Kathmandu Durbar Square. Overnight at hotel. Flight Kathmandu – Bhadrapur or Biratnagar and drive to Phidim (6-7 hours drive). Overnight at hotel. 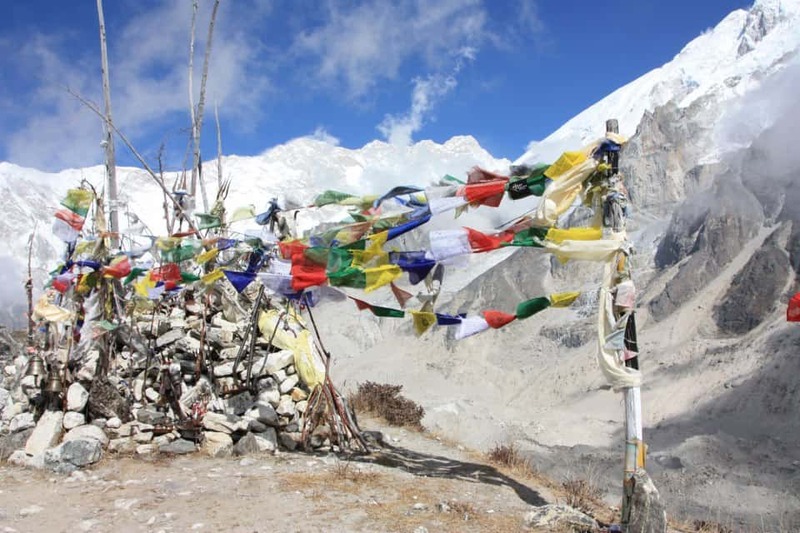 Drive Phidim – Taplejung (1820 m)- 3-4 hours drive; trek to Mitlung (920m) for 3 hours. Overnight at local tea house. Trek to Chirwa (1300m)- 4-5 hours. Overnight at local tea house. 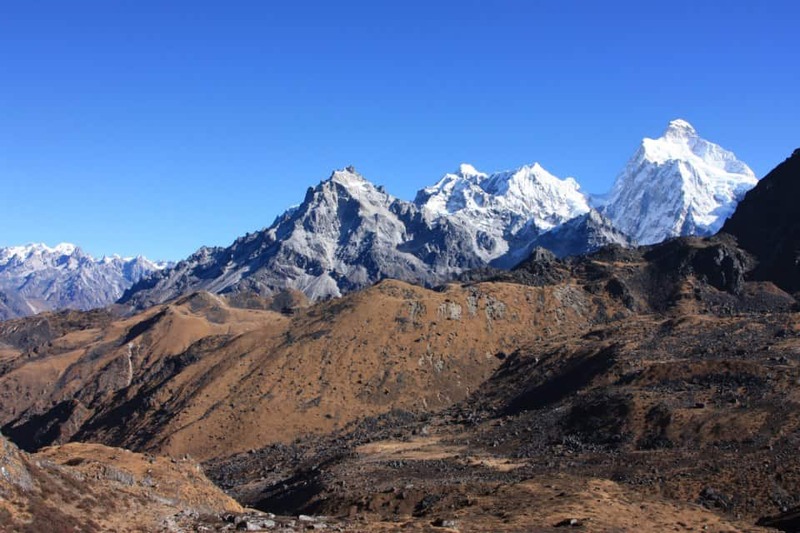 Trek to Sekathum (1670m) – 5 – 6 hours. 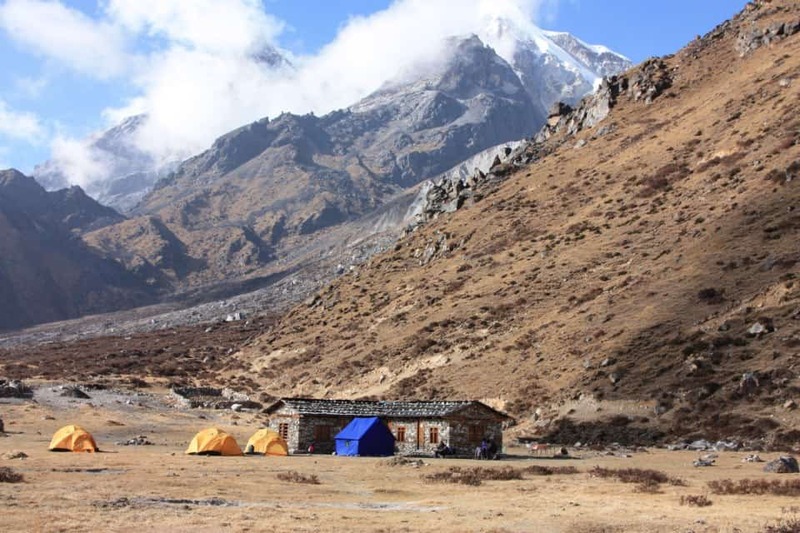 Trek to Amjilosa (2520m) – 5 – 6 hours. Overnight at local tea house. 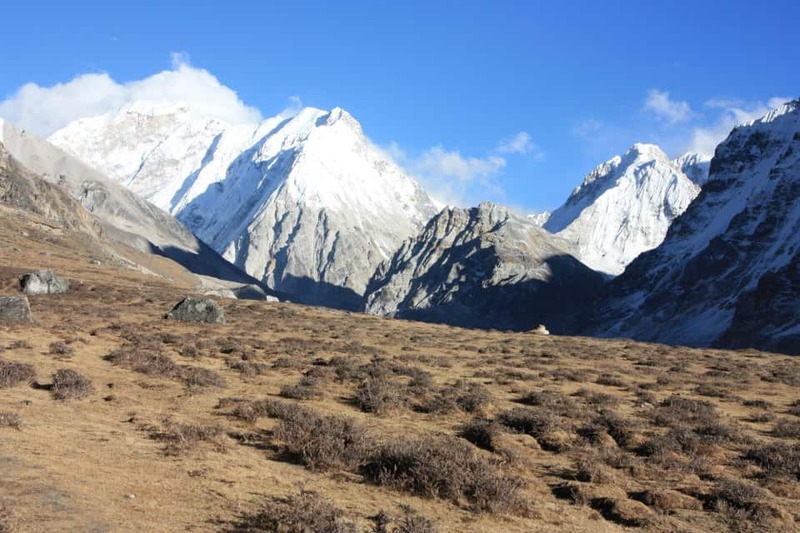 Trek to Gyabla (2730 m) – 5 – 6 hours. 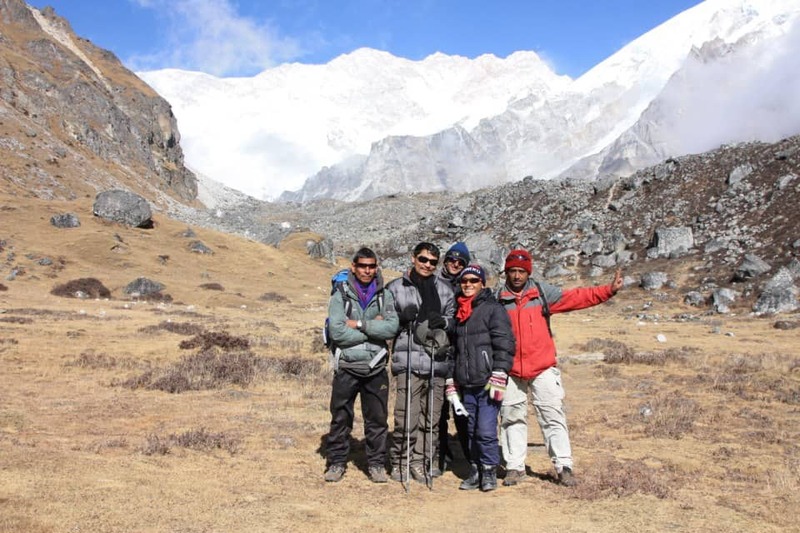 Trek to Ghunsa (3595 m) – 4 – 5 hours. Hike upto 4200m on the way to Dudhkunda (milky lake). 4 – 5 hours. 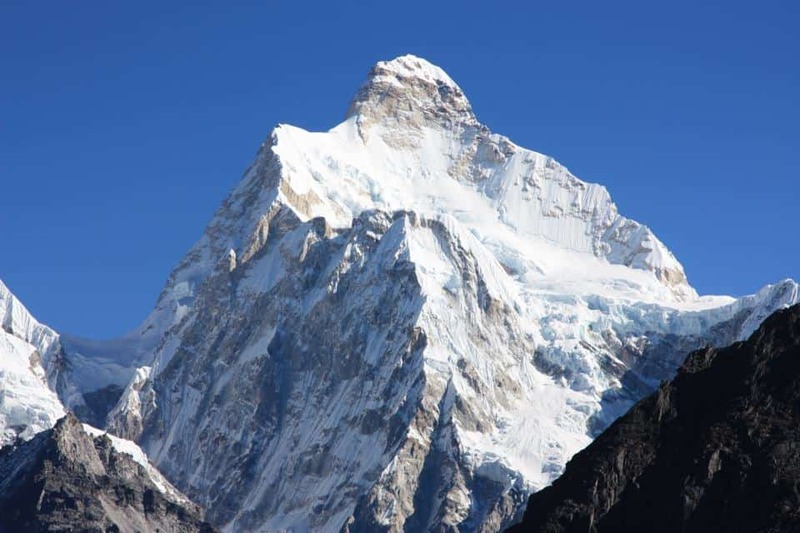 Day hiking to Pangpema (5065 m) to view the Mt. Kanchenjunga and return to Lhonak for overnight stay at local tea house. 5 – 6 hours. Overnight in a basic tea house. 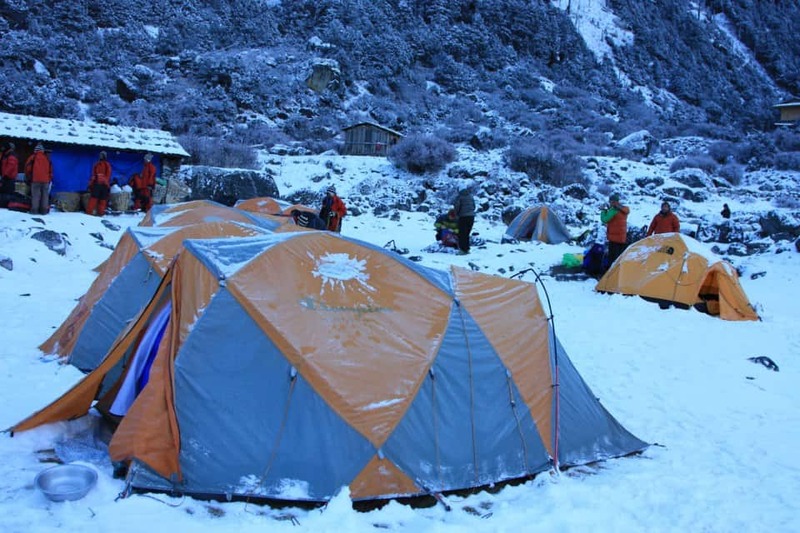 Trek Sele La – Sinion La Pass (4460 m) – Mirgin La Pass (4480 m) – Sinelapcha La Pass (4646 m) – Tseram (3870 m) – 7 – 8 hours. 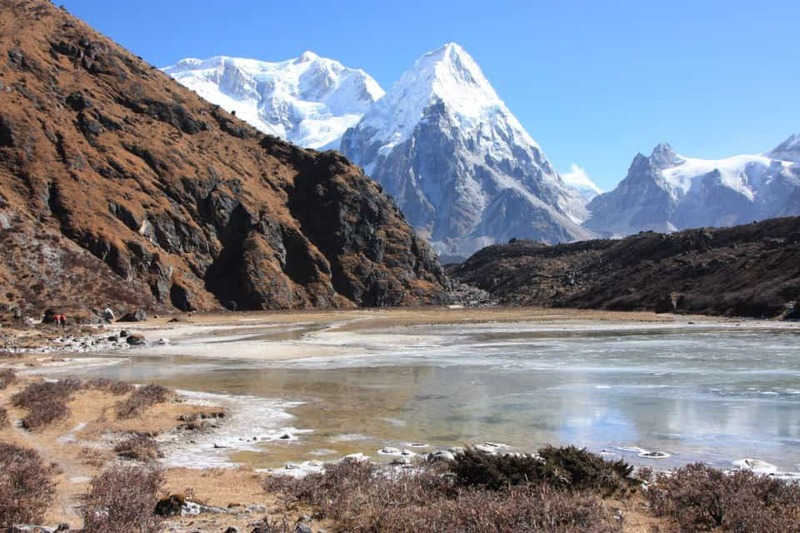 Day hiking to Oktang Base Camp – 5 – 6 hours. We go for day hiking to Oktang to observe the Kanchenjunga South and return to Tseram for Overnight stay at local tea house. Overnight at a local tea house. Trek to Khebang (1910m). – 4 – 5 hours. 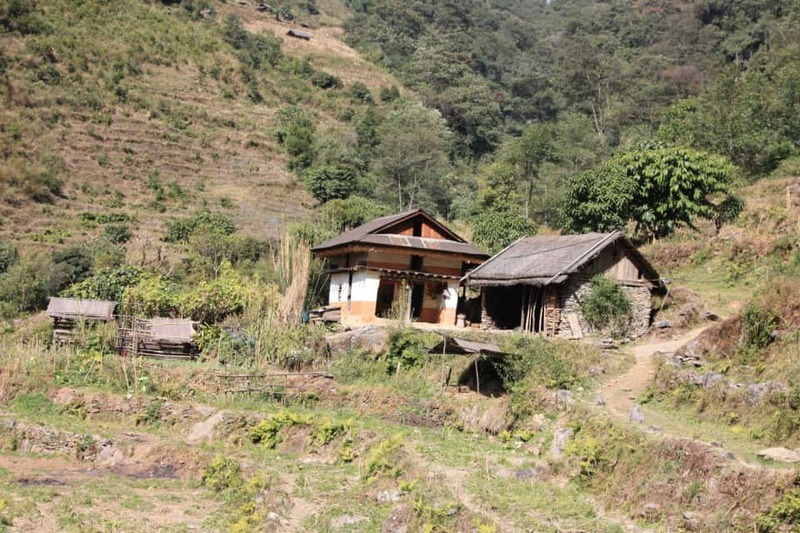 Trek to Medibung (1510 m) – 3 hours and drive to Ilam (2150m) – 4 – 5 hours. 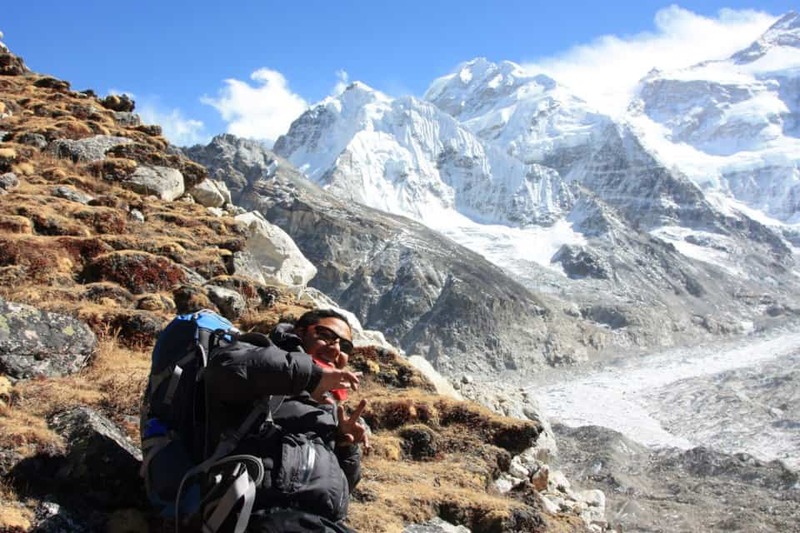 Il trekking del Kanchenjunga è lungo e classificato difficile, ma l’ottima organizzazione di Nepal Hiking, la competenza e la capacità di Bikesh Rana ( la nostra guida ) e di tutto lo staff l’hanno reso un’esperienza bella ed indimenticabile. Tilak inoltre è stato un prezioso aiuto per risolvere i problemi sorti alla fine del trekking a causa dei voli sospesi nel periodo dell’eruzione del vulcano islandese, i quali ci hanno costretto a prolungare il soggiorno di altri quattro giorni. 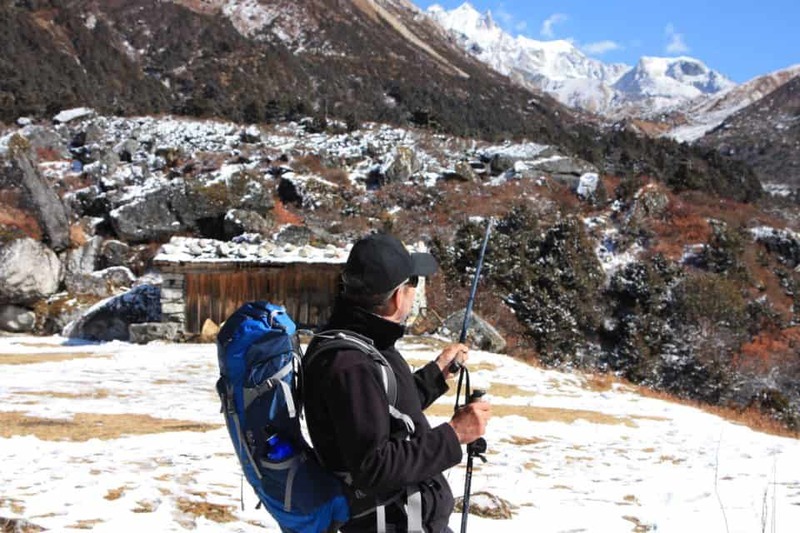 Sembra che in Nepal ci sia un detto che dice “mai viaggiare in tre […]” e noi eravamo tre, abbiamo avuto qualche contrattempo ma tutto si è risolto per il meglio grazie all’impegno dell’agenzia di trekking. 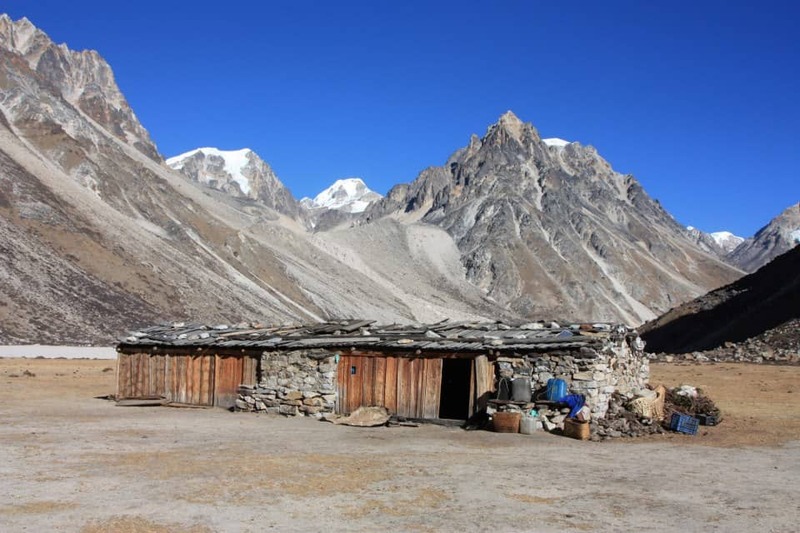 Ci sentiamo quindi di consigliare Nepal Hiking a chiunque voglia visitare questa mag-nifica nazione.